Marriage can be a killer! 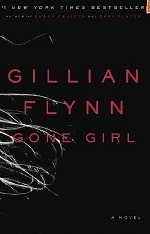 I decided to download Gone Girl by Gillian Flynn on my Kindle. A friend had recommended it as a thriller that I would not be able to put down. It was perfect. Why? Because I could not stop reading ...someone needed to be found guilty. And I did not figure it out until the end. You have to love a book that leaves you with the line: I feel sorry for you....because every morning you have to wake and be you! Yes indeed, this one was fun. I had just finished reading John Adams by John McCullough when I decided on Gone Girl. John Adams was one of the best books I have read since Undaunted Courage by Stephen E. Ambrose. I'm just saying!